According to Gartner’s ”CMO Spend Survey 2018-2019,” Chief Marketing Officers(CMOs) are moving to spend more on technology in 2019 than on staffing. Marketing technology (martech) this coming year will experience a seven percent increase over 2018 with staff costs declining from 27 percent to 23 percent. The moveaway from human investment to tech appears to be influenced by the desire to measure the real impact of total marketing costs on the bottom line. 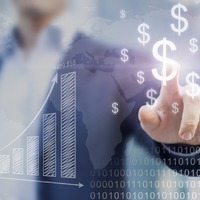 Digital analytics, content management and email marketing are shaping up to win a larger share of marketing budgets in 2019. The ease by which digital marketing can be measured against revenue is a significant factor for its predicted growth. Nielson’s 2018 CMO report indicates 82 percent of marketers will increase their digital marketing spend in 2019. Content, often considered“King,” will gravitate to the center of the entire marketing universe. As metrics become more defined, content will focus on personalization and qualityof message over quantity and strive to refine the delivery of the right message to the right target audience. Chatbots are poised to receive more attention as marketers attempt to better understand consumer insights into brand messages and campaigns. Listening to the audience and reducing the quantity of messages seeks to alleviate much of the over-abundance of noise. Alternative search will become more important in 2019 as the popularity of voice search among tech hungry consumers motivates marketers to reevaluate and reinvigorate their organic search efforts. Alpine data indicates that by 2020, 50 percent of all searches will be done verbally and Garner predicts that 75 percent of all households will soon have a smart speaker. The coming year will see an increased investment in voice search technologies in response to the anticipated disruption to traditional search platform methods. The importance of protecting user data has been demonstrated thoroughly in 2018. As consumers and online users experienced the careless selling and sharing of personal data, they have been quick to recount their discontent with market actors who fail to properly handle their private information. Cyber security will continue to be a prominent line item in marketing budgets of small and large companies going forward. The trend towards technology over people is understandable as organizations focus efforts on optimizing the bottom line, but the enthusiasm for this trend should be tempered by a healthy realization that forces in the marketplace tend to be volatile and difficult to predict solely based on past measured performance. A successful marketing strategy will allow for humans to subjectively challenge machine generated assumptions and respond to the ever-changing forces in the marketplace. 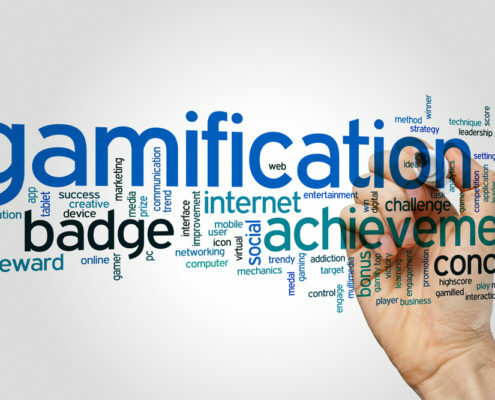 Businesses looking to develop a gamification strategy need to first identify those areas within the organization that can benefit from increased sales, customer loyalty, employee retention and motivation. The overall strategy must be relevant and in line with the company’s culture and mission. Keeping the rules of the game simple, easily understood and winnable is important. “The programs need to be easy to play and winnable,” says John Kampas, CEO of Empist. “A lengthy process or extensive rules can be unappealing to participants. You must also clearly outline the details of the challenge and the reward before starting the game.” Focus the development on what works best for your organization, its mission and goals. Leverage existing assets that motivate and drive increased performance and add value to user experience. Whether it’s a customer loyalty program, progressive purchase reward, performance incentives or personal recognition, gamification is here to stay. Business leaders are aware of the importance of retaining top talent and expanding the list of loyal consumers. The old saying “This is business, not a game” doesn’t quite ring true anymore. To learn more on how Junction Creative Solutions can help you implement an effective gamification strategy, call us at 678-686-1125. When beginning the process of developing a content management system (CMS), businesses have a number of options to choose from based on the requirements of each individual type of business. While custom designed sites are available not all businesses require the complexities and capabilities of a custom designed CMS platform. Several open source website platforms are available but WordPress accounts for thirty percent of all websites and it has a 60% share of the overall CMS market. An open source content management system, WordPress has captured the majority share of the market by offering a platform that is free to those who are savvy enough to navigate the technical aspects of setting up their own site. While there is a cost associated with selecting a custom theme, WordPress offers many standard themes at no charge. Adding special features may require technical and creative support from a professional developer and designer in order to enhance the elastic architecture and horizontal scalability or allow for more flexibility, traffic volume variations, multiple machines or an existing infrastructure or a cloud-based system. WordPress makes it easy to keep the site’s software up to date, a critical benefit to keeping hackers and cyber criminals from invading your site. Software and plugins can be updated automatically. Structured to be simple for search engine crawlers to navigate, WordPress also is compatible with Google’s new criteria for mobile-friendly websites. Scaling for the workload is beneficial for all types of businesses with fluctuating needs, but critical for eCommerce websites that may have seasonal or continual spikes in demand. WordPress has established a reputation for being a widely used platform, not only for small to mid-sized companies but for larger enterprise organizations as well. Search index plugins are becoming increasingly sophisticated with features like voice search, automatic index and custom taxonomy, making WordPress an attractive method of website development for companies of all sizes. Junction Creative Solutions’ (Junction) developers and designers are adept in utilizing the WordPress platform for smaller digital projects as well as fully-executed, customizable platforms. “Junction has built hundreds of WordPress websites for small businesses and larger enterprise organizations. WordPress allows our team to provide our clients economical, smart, attractive and executable content management systems across a broad spectrum of industries,” say Julie Gareleck, founder and CEO. 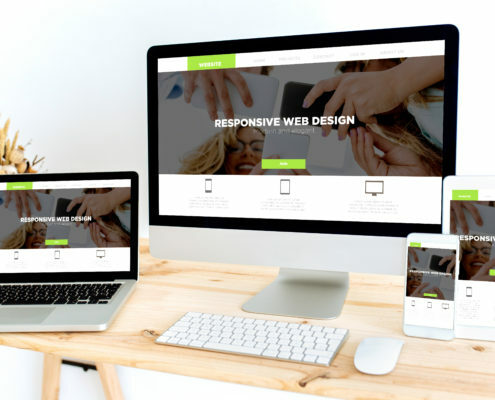 For more on how Junction’s experienced team of developers and designers can assist you in building an effective web presence, call 678-686-1125. Believe it or not, we have once again come full circle on another year. Marketing prognosticators are polishing their crystal balls of future things to come and declaring how technology will revolutionize our channels of communication with consumers in 2019. Last year’s predicted trends are being measured against reality, and the process is becoming akin to scoring a competitive game of sport. As with so many games in life the results of our collective efforts to predict the future of marketing tactics and activities are never completely aligned with perfection. Shifting consumer expectations and the response to accepting new communication technologies make the playing field difficult to read and an unsuited environment for calling a perfect game. All we can really do is take stock of what is working, evaluate why some predictions failed, make necessary adjustments to the strategy for 2019 and move forward. The most successful predictions of marketing in 2018 appeared to be offered by those who envisioned a broader and less specific set of outcomes. “While some industries have embraced the paradigm shift in how they reach, engage, and mobilize new customers, I predict that we will see even more attention and focus being placed on getting the marketing mix correct,” predicted Julie Gareleck, CEO & Managing Partner, Junction Creative Solutions. The year’s performance appears to have been another example that absolutes and inevitabilities rarely pan out. So what appears likely to work best in 2019? Automating the marketing process to work more efficiently and smarter will continue to pay dividends of better understanding customers. Scott Brinker, Founder of Chief MarTec, said, “As much amazing marketing software as there is today, there is still an opportunity for new ideas. Marketing should be — and can be — better.” Automation will be seen as another set of marketing tools that enhances the acquisition of new customers. Smart marketers will continue to develop an expanded inbound approach to connecting with their market segments. Content marketing, automation, social media and multichannel marketing can be coordinated to create a brand reputation that is authentic and valuable to customers. Consumers are more often placing trust in those they know. Quality, reputable content will prevail over stock ads in the coming year. If one were to bet on an absolute, a continuing utilization of inbound marketing tactics is a wise wager for 2019. Once predicted to be rendered obsolete; direct mail, print advertising and brick and mortar sellers are showing some unexpected resilience in the digital age. Not unlike wax LP’s return to popularity among a niche market of music lovers in a world of digital recordings, old school marketing tactics are finding success with consumers who are tired of the incessant barrage of digital media noise and those who long to revisit a traditional physical shopping experience. Players on the field of brick and mortar will need to focus on creating entertaining events and an enticing experience for their target markets. Would a winning team come to the plate in the World Series expecting to win without their best equipment? The answer from most sports enthusiasts and players alike would be, “certainly not!” But retailers and sellers across the industry spectrum may be coming to the plate in the biggest game of the year woefully unprepared for a big win. 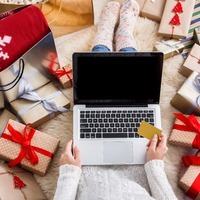 The holiday season is marketers’ most important opportunity to win big or go home, yet many players are failing to adequately coordinate ecommerce outlets for victory. This year, online sales have risen by 46% and with more than 60 percent of retailers showing inventory on their website, it is critical to be ready for all the increased holiday shopping ahead. For a website to be most effective it must be aesthetically relevant, be at the peak of its performance and timely in its content. The worst time to realize that your marketing hardware isn’t loaded properly is when you have competition within your sight. Now is the time to focus on improving the performance of your website’s existing functionality. First and foremost, your website must be prepared to handle and respond to the increased amount of traffic that is experienced around the holiday season. With their busy schedules consumers are impatient with websites that are slow to function and deliver accurately on their commands. Studies have revealed that websites that fail to load in just three seconds produce increased bounce rates. It is time to test your server’s ability to respond to your customers’ expectations and take measures to improve the site’s performance. Decorating brick and mortar stores for the busiest selling season is a holiday tradition. Retailers spend millions of dollars each year in an attempt to set a festive mood in hopes of encouraging shoppers to spend with them. A website should be no different. Decorating your site with the sounds and sights of the season will generate consumer interest and appeal. Offer something dynamic and unique with your content and modify it often to accommodate special events and promote shopping incentives. Utilize plug-ins that automate the processes of timely scheduling and initiating content modification. Focus on intently delivering on your promises. A gift received the day after Christmas is a memory rarely forgotten. “In today’s world, if you’re not on mobile, you don’t exist.” More consumers look to mobile devices to research products and services before making a purchasing decision. By 2021, it has been estimated that consumers will spend $152 billion directly on mobile phones, and over the next few years mobile phones will influence $1.4 trillion in offline sales. A strategy to align your online presence across all mobile devices is critical. Secure your website! Loyal customers may forgive an occasional mistake or inconvenience caused by unforeseen and uncontrollable calamity, but mess up a financial transaction or mishandle consumer data and you may be forever unforgiven. The holiday selling season brings out the best in many people, but it also brings out bad actors in greater numbers who are willing to victimize your customers and your business to advance their personal gain. Ensure that all your software, plug-ins, connections and passwords are up to date, and invest in the latest versions of anti-malware as a first line of defense. Prepare your eCommerce platform now for a happy holiday selling season! 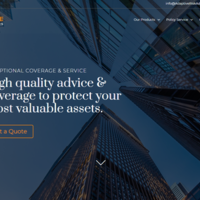 When Adaptive Risk Advisors (ARA) was formed earlier this year, co-founder Miles Parker’s goal was to create a full service company focused on providing customized insurance solutions for high net worth business owners and individuals. Specializing in Commercial Property and Casualty, Workers’ Compensation, Fleet Vehicle, Liquor Liability, Cyber, and Luxury Home and Auto insurance coverage, ARA is a full service, independent agency focused on serving clients who desire a value-added relationship, competitive insurance rates and the best policies for unsurpassed price, coverage, and service. Based in Raleigh, North Carolina, Adaptive Risk Advisors is strategically located to provide services to Wake, Durham, Chatham, and surrounding counties. Junction Creative Solutions (Junction), an award-winning hybrid agency, was selected to design and develop an online experience to support the growing business. Adaptive Risk Advisors is ready to provide customized and affordable insurance solutions. Their knowledgeable, friendly staff can empathize with clients and their needs and create policies that meet or exceed their expectations. Call 984-212-8000 or visit https://adaptiveriskadvisors.com/ to learn more about Adaptive Risk Advisors. Will Your 2019 Annual Strategic Plan Take You Where You Want to Go? With the booming economy, most businesses are entering the time of year when just keeping ahead of the day-to-day demands of the consumer is daunting. Just like that it’s time to start strategic planning for 2019. For those who say they are ready to get out in front and get started on planning for next year, the news is not so good. If you haven’t already begun the planning process, you are no longer out in front. Entrepreneurs are, by nature, an optimistic lot. It is a required trait if endless obstructions and road blocks are to be overcome and success is to be achieved. The vision is important, but the euphoria that often accompanies the vision can sometimes cloud and delay the planning process. Progress, as a result, can be stymied. It has been said that the only true absolute is change, and today’s technology is accelerating the rate of change exponentially. Anticipating a dynamic competitive environment and initiating proactive steps to position products and services to meet the pace of consumer needs is paramount to remaining relevant. Are you ready with a strategic plan for 2019 that positions you to capitalize on emerging trends and that supports your vision? Begin now by taking stock of this year’s successes and failures. What has worked and what has failed to meet expectations? Remember, we learn the most important lessons from our failures. Why didn’t it work? What are the options to turning a loss in 2018 to a win in the coming year? As you form a strategy for 2019, establish reasonable and measurable short and long term goals. It may be time to shed a bit of the euphoria and focus more on the mundane aspects of reality. What are your goals and what do you want your organization to achieve for 2019? Build the future on those things that have worked in the past. While some believe that if it isn’t broken, you haven’t looked hard enough, the truth lies more often than not in the adage, “if it isn’t broke, don’t fix it.” Tweak it, polish-off some wear and tear, and move on. Take some time, even if only a few minutes a day, to look outside the confines of your world. What is your most successful competitor doing? What are other industries doing that is working for them? Don’t be so quick to say “it can’t work here.” Seek out others’ input in the planning process. Not all the world’s best answers originate from inside your head. Expand on your circle of business associates and develop and broaden the diversity of professional opinion and perspectives. Strategic planning is the first step in a progression from vision to reality. It should clearly align the organization’s focus and efforts on achieving the goal. Be committed and unwavering to the planning process and even more committed to its engagement. Junction Creative Solutions (Junction) can provide an external perspective to align your internal goals and objectives and prepare a strategy for continued growth. Contact us at 678-686-1125 for additional information regarding our strategic consulting services! http://junction-creative.com/wp-content/uploads/2017/10/logo_header.png 0 0 mark http://junction-creative.com/wp-content/uploads/2017/10/logo_header.png mark2018-10-25 09:30:182018-10-24 11:36:05Will Your 2019 Annual Strategic Plan Take You Where You Want to Go? The season for gift giving is fast approaching, and retailers from hometown America to online retailers way out in cyber space are looking for the gift of increased sales and black ink bottom lines. The 2017 holiday selling season was the biggest and best since 2011. Sales in the U.S. grew 5.5% in brick and mortar sellers over previous years and eCommerce tallied a 17.8% increase in online sales. Last year’s record performance has prognosticators either cautiously optimistic or pie-in-the-sky giddy over the coming 2018 holiday season. Due to very good economic news, record low unemployment and strong consumer confidence, retailers are in line to receive a favorable uptick in sales in 2018. Deloitte Touche Tohmatsu Limited (Deloitte), a leading global consulting agency, says this year’s retail November to December sales could top $1.10 trillion, an increase over 2017’s $1.05 trillion performance. “We think most retailers will have a good holiday season if they have a distinctive value proposition,” says Rod Sides, vice chairman of Deloitte’s U.S. retail and distribution practice. “We think off-price will continue to do well, and there will be a rebound in luxury.” eCommerce sales are expected to rise as much as 22 percent through the holidays, according to Deloitte. Global consulting firm AlixPartners is being a bit more measured in its sales predictions for this year, calling for retail sales growth of just 3.1 to 4.1 percent this holiday season. “The health of retail is still very strong, but 2017 will be a tough year to follow,” said Roshan Varma, a director in AlixPartner’s retail practice. “Last year was a bit of an anomaly, and we are expecting more of a typical holiday season this year.” Meanwhile, The National Retail Federation (NRF) is positioning its predictions more centered in the bell shaped statistical curve. Regardless of which numbers prevail, consumers are tiring of the shopping experience and will be looking for convenience when it comes to browsing. They will be rewarding retailers who provide improved checkout times when making their purchases; whether in store or online. Early shopping (Thanksgiving through Cyber Monday week) will garner 37 percent of total U.S. holiday retail sales. Consumer sales made through mobile devices will account for more than $35.9 billion in the United States, with voice command technology accounting for 3.3 percent of total gift-giving purchases. Happy holiday sales to all! Launched in 2010, Instagram continues to grow at a remarkable pace. 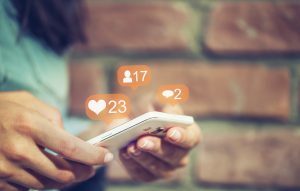 Just a little more than 7 years of age, the visual social media platform has surpassed 800 million monthly users and is not only attracting individual social conversations but is proving its worthiness to marketers looking to grow their brand’s awareness and showcase its products. With 51 percent of users indicating that they visit the site daily and 70 percent using the platform to search brands, Instagram has become a friendly, authentic method to connect with potential consumers. With ninety percent visual content, standing out in the crowd of 800 million users can be a daunting task for marketing professionals accustomed to relying on wordsmithing skills to get their message across. But the mostly wordless approach is becoming one of the most effective social media networks. It shouldn’t be a surprise that great content is at the core of a great social media campaign. With Instagram, building a great message is all about building a visual narrative where limited prose reflects and validates the image. While it is tempting to fall back on the tried and true adage, “a picture is worth a thousand words”, it is also true that most marketers struggle to communicate in a visual medium. Success with Instagram is derived from generating engaging content. The process begins with learning as much as possible about the medium, how customers are using the platform and understanding how the competition is succeeding in the space. Create an expansive collection of unique content around a common theme and your desired persona. Be prepared to make adjustments, but be consistent with the message. Be creative but focused and invest in visual editing tools and experienced professional skill-sets when necessary. Engage socially with users and influencers who have already built a trusting relationship with their followers to better understand what is driving them to be interested in your brand. Use memorable and engaging hashtags and be sure to include a link to your website. Invite fellow users to share your content. Don’t miss an opportunity to call for action. Establish a set of reliable metrics to measure and frequently test your efforts’ performance. Instagram can be a powerful tool in your marketing arsenal, but with all the potential benefits comes some risks. In a hyper-sensitive, socially correct landscape, creativity can often lead to misinterpretation. As with all social website platforms, care should be taken to avoid turning a positive message into a plethora of negative responses. According to Instagram, 75% of users who see a business post take action. It is a medium that promises to continue to grow in size and effectiveness. Be prepared to adapt to changing trends. Take advantage of new tools and features that create opportunities to interface with an ever expanding Instagram community, and resolve not to fall behind your competition.